Zimbabwe's anti-government protest strike has entered day three with streets, particularly in Harare, said to be deserted. Mnangagwa, who took over from long-time leader Robert Mugabe and won a disputed election in July, says petrol prices will rise to $3.31 from $1.24 a litre and diesel prices to $3.11 from $1.36 a litre. Zimbabweans react with outrage to Mnangagwa's announcement, saying the move would worsen an already difficult economic situation and trigger protests and strikes. "The government has officially declared its anti-worker, anti-poor and anti-people ideological position. "Workers' salaries have been reduced to nothing and our suffering elevated to another level," ZCTU says in a statement. 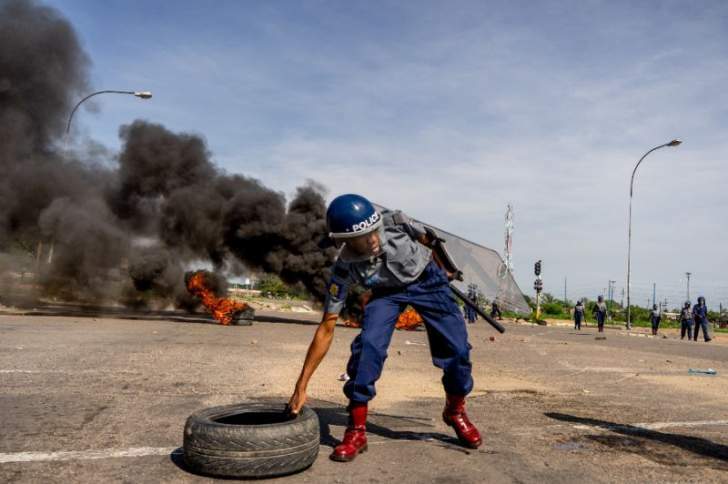 The Zimbabwean government deploys riot police in "hot spots" following the ZCTU's call for a national strike. 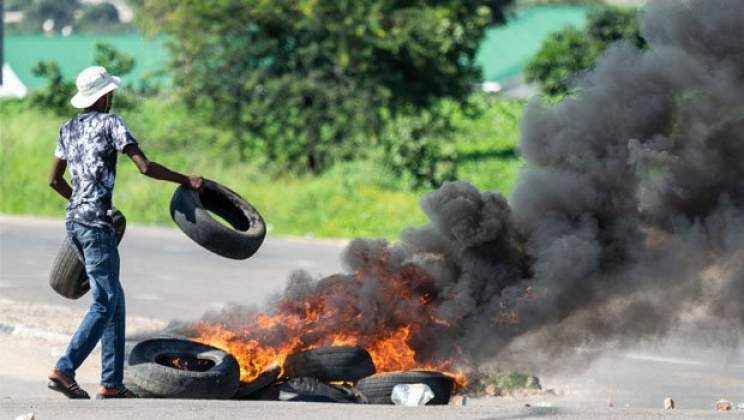 Government accuses the opposition and civil society organisations of being behind the protests, with the country's National Security Minister Owen Ncube saying that more than 200 people have been arrested in connection with the violence. Zimbabwe enters the second day of protests. There are reports that the headquarters of the Movement for Democratic Change (MDC) have been vandalised. It's not clear who is behind the attack. Information Minister Monica Mutsvangwa blames the protests on "terrorism". "Threats to overthrow a constitutionally elected government by force and install an unelected person as president of Zimbabwe will be thwarted," she says. The country's largest telecom company, Econet, has sent text messages to customers saying it has been forced by the government to shut down internet service.